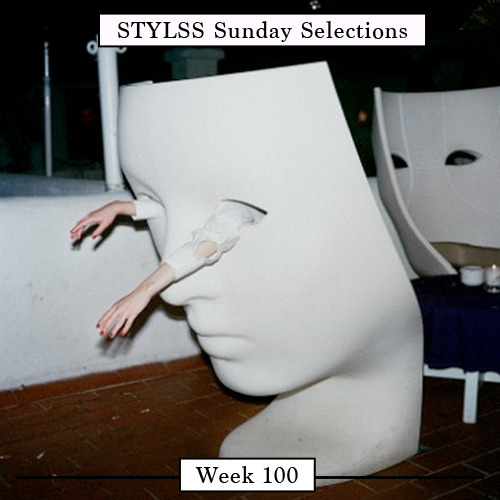 This week marks the 100th edition of the STYLSS Sunday Selections, & perfect enough it’s also happens to be Winter Solstice. As we welcome the coldness we wanted to transition and celebrate this historical moment by inviting our STYLSS friends to submit 100 tracks via the “secret” STYLSS FB Group. The biggest of shout outs to all our day ones, everyone whom we have a featured, the new ones, & anyone who fucks with STYLSS on the real. We sincerely hope you continue to join us & help us grow for the next 100 weeks & beyond. Support DIY artists, the “underground music scene” & be kind to one another. The last song Sleeve↓ & late HM.T DM.T dropped def showcases both of their unique sound design styles and weirdo taste. R.I.P. What does a scanner see? I hope it sees clearly. QUARRY & EASTGHOST team up to not finish this week’s TeamSupreme cypher.